Our gentle freeze-drying process removes 92% of the water contained in our ingredients, leaving a food that is lightweight, compact, shelf-stable and preservative-free. Removing grains from a dogs diet promotes healthy weight, higher energy levels and helps fight food intolerance. "We created Grandma Lucy's because Lucy was not just a pet, she was part of the family and deserved only the best possible ingredients and attention to detail available. We are proud to share our family recipes with your family." 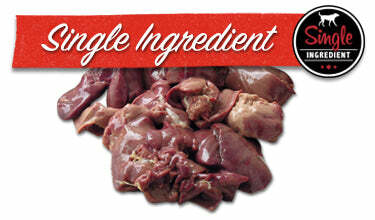 Our products do not include any meat meals or by-products, only whole food ingredients.